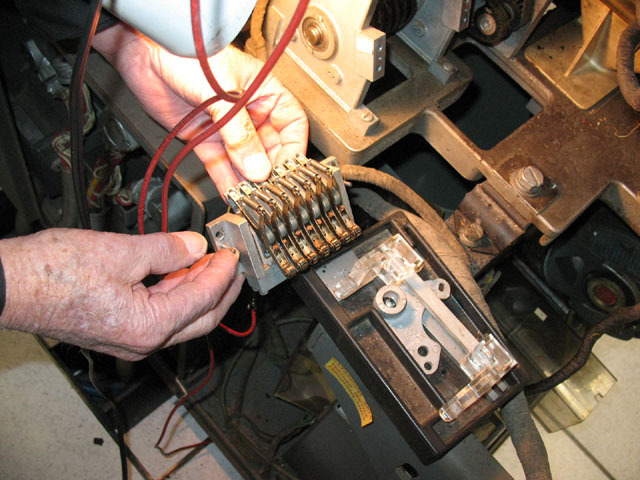 Ed helped Joe find a flaky circuit breaker in a CT 729 mod 2 tape drive, the over current kind. They also logged "Punch clutch does not latch to the poinnt that the keeper can hold it." 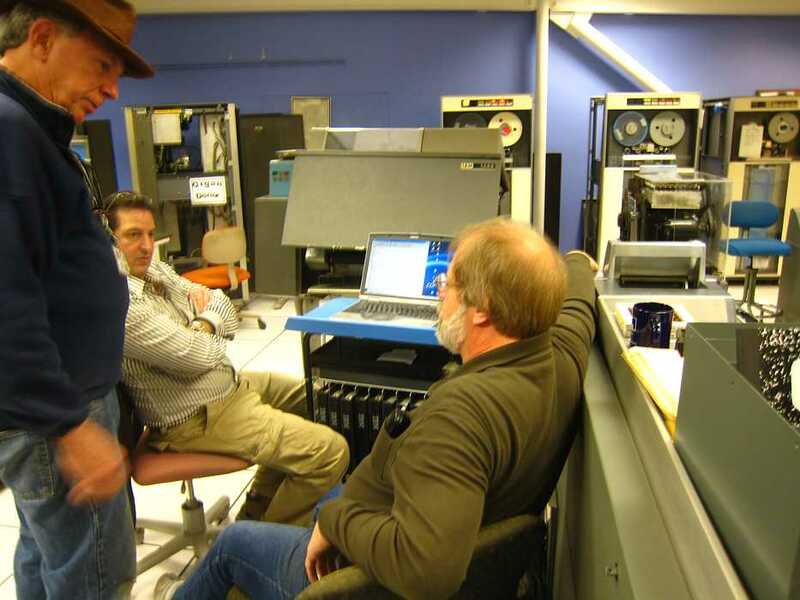 We spent the first hour discovering something new about a 729 tape drive. Not all 729s have bypass relays. When we turned on the DE 1401 system today both 729s were turned off locally. 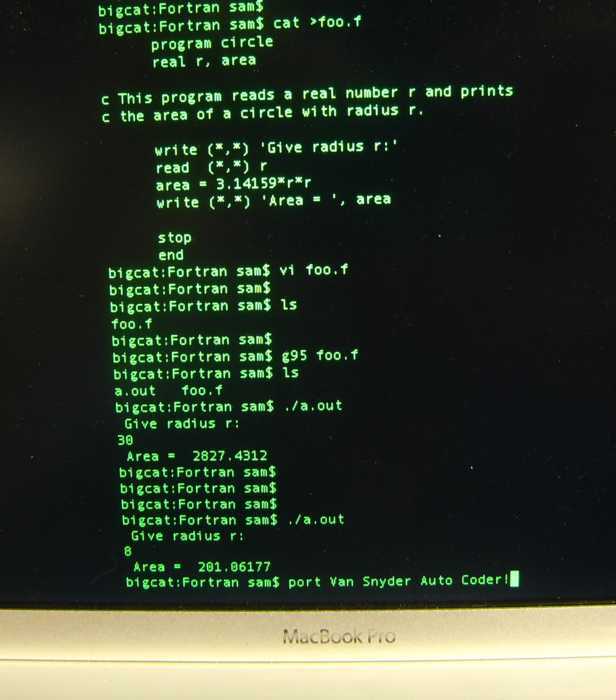 When we tried to read data from the Emulator, many errors were detected by the TAU. Scoping the Read Data Bus showed that the positive humps of the data waveforms were being clipped at Ground. Since this was similar to an Emulator bug that we shot last week, we thought that somehow the bug had reappeared. 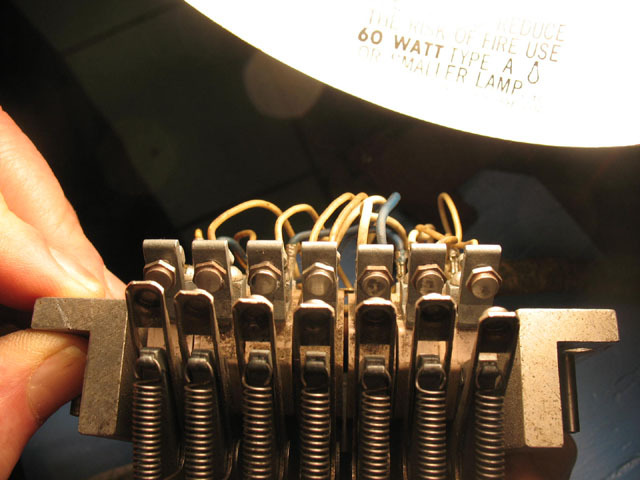 However, further debugging showed that 729 #2 was responsible for the clipping. We eventually traced the bug to the fact that the drive was powered off. Turning its power on fixed the bug. 729 #1 does not exhibit that behavior because it has the "dual-port feature" installed and the relays in this feature remove the drive from the bus when it is powered off. We replaced a noisy and weak fan on gate 02b1. We verified the "Rewind & Unload" driver fix. We reran the Tape Print and Tape Copy programs. All source/destination combinations of Tape Copy ran without errors. Even tape copy between the two real 729s. We are officially declaring victory and will be moving on to attempt to get the Tape Autocoder running. A serious specification problem came up in the tape emulation. 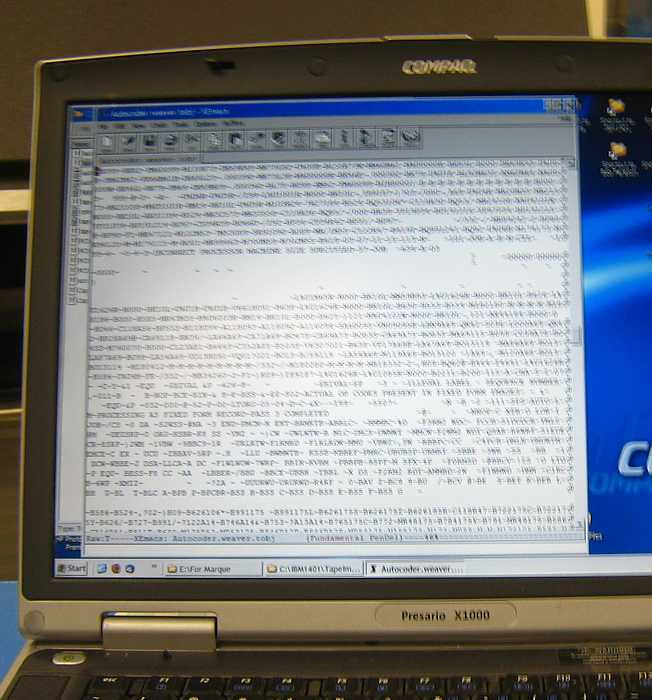 The maximum record size is 2,000 characters, a PIC memory size limit. No larger is available. One Autocoder overlay is about 4,000 characters long. The existing code issues a tape read instruction, and the overlay overlays everything. Like what to do now - call Van Snyder for help? He may have another version? 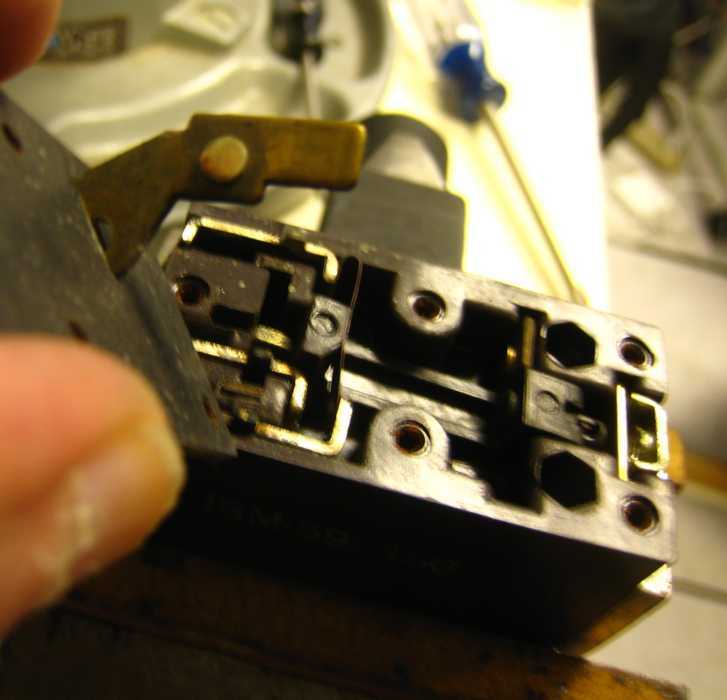 Ed Thelen spent far too long disassembling and playing with the bad circuit breaker discovered last Wednesday. Ron Williams wants Ed to fix SMS cards. 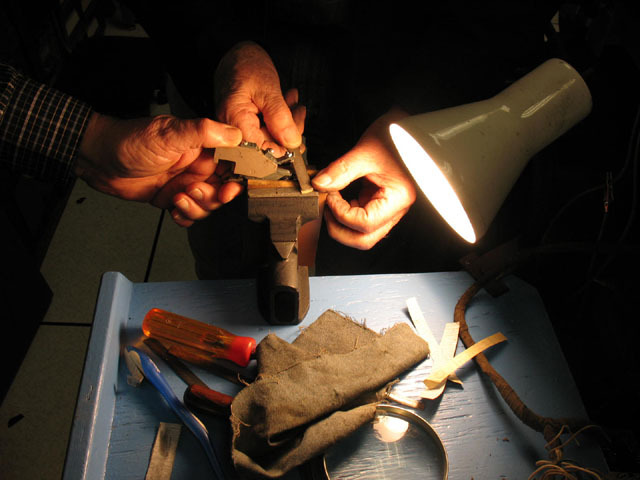 Ed claims that if a transistor does not have a hot filament, it just can't work !! 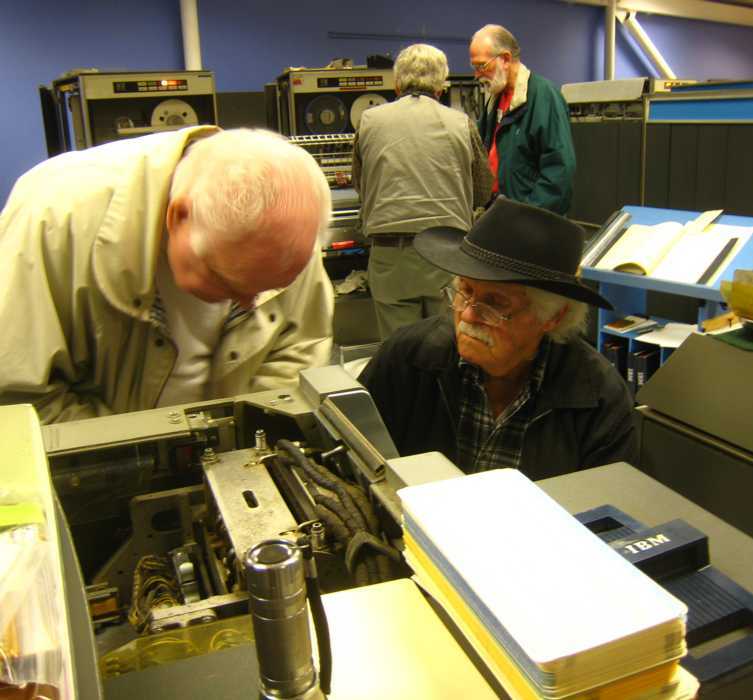 Bob Erickson's face says it all - a signal required to punch cards is not being generated, the logic diagrams do not match	the machine, circuit tracing got lost in a bundle, and a day was basically wasted. Ron Williams and Bill Flora were not delighted either. There seems general agreement that folks will come in for the free food at the warehouse on the third Saturday. 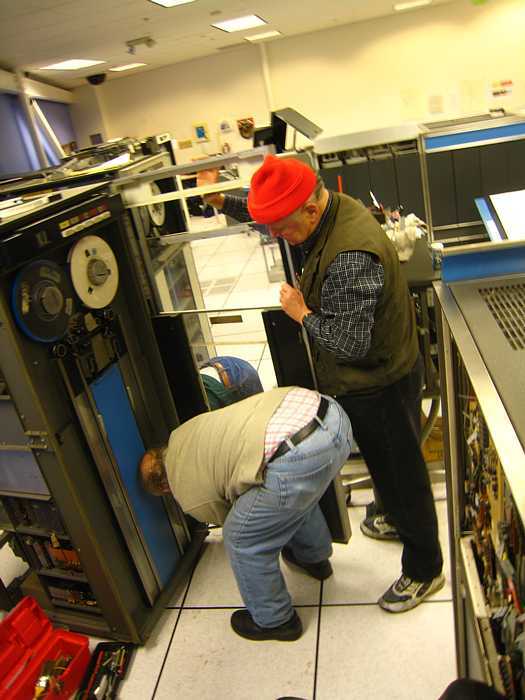 Today could be called the day of the 729 Tape Drive Doors. You and I are used to rather light weight house doors (especially interior doors) and shower doors. Well - I'm here to tell you that the 729 Tape Drives have Industrial Weight doors. Solid, keep the tapes in and the people out, doors. In case you are wondering, I bought a nice little 1 bath 3 bedroom home in Phoenix for what one of those tape drives was selling for in 1963. One of the CT drives had a door that was an interferrence fit with the top button assembly. You could give the door a good shove, and it would close - but this did not seem satisfactory to Joe. Then Glenn Lea remembered that one of the CT doors had trouble holding the sliding glass window up. There is a spring/cable assembly on each side of the window. One of the cables had de-tached itself from the spring assembly. Again. Time to get a "new" cable from the "Organ Donor" 729. The 1402 reader failed about the time the unit went out of service - and was likely the reason the 1401 system was taken out of service. version has changes to support the transfer of 3000 character records. application, user mode driver, and kernel driver. We tried to boot the Autocodet.IOCS tape image that I received from Van. B-reg VRC error on with value of 0x00. Instruction state machine indicated the an opcode was being fetched. time. I'm not sure if the I-Addr-Reg was identical each time. (i.e., about 500 word mark characters). 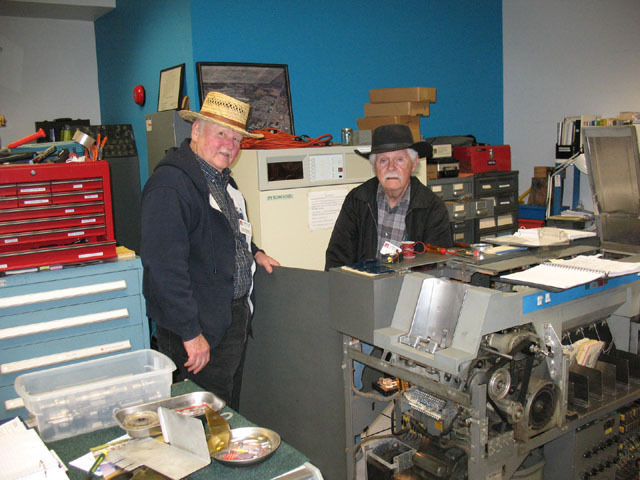 Ron Williams, Bob Erickson and Stan Paddock  decided to come into the CHM to do some useful repair work. 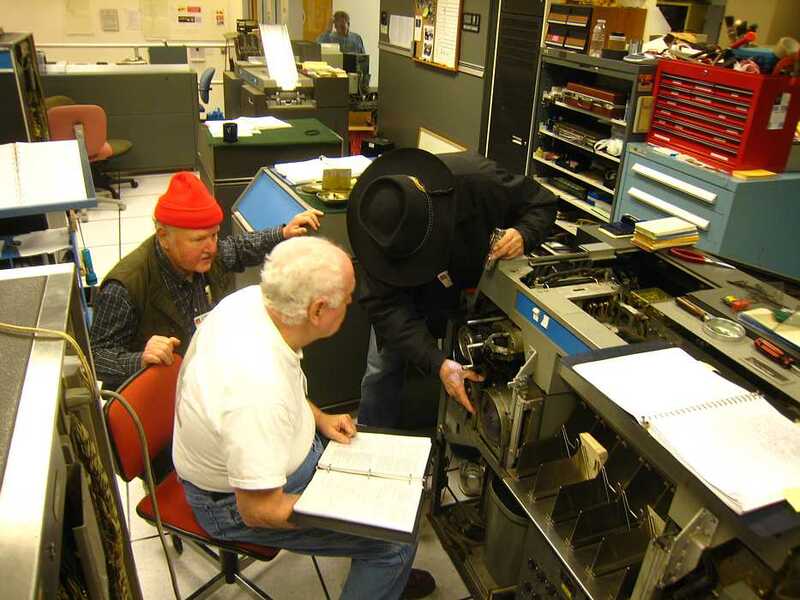 Ron and Bob worked on the punch section of the CT IBM 1402. They found a bank of heavy duty cam driven contacts that were not only oily, they looked more like the teeth of a Great White shark. And filed each set one by one. Until they were all good for another 20 years. While the punch is still not fully operational, it is further along that it was last Wednesday. 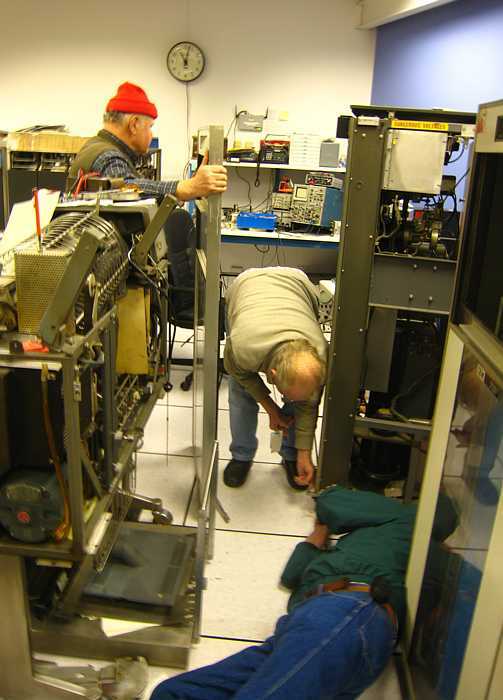 While Ron and Bob were doing BIG work on the CT machine, Stan replaced the same fan that Frank replaced last Wednesday. Seems to have lost the grease and started to howl. This task took awhile as we had around 50 visitors and Stan got to do his pitch to all of them. The docents would bring a group in and leave them with me. Lots of fun. 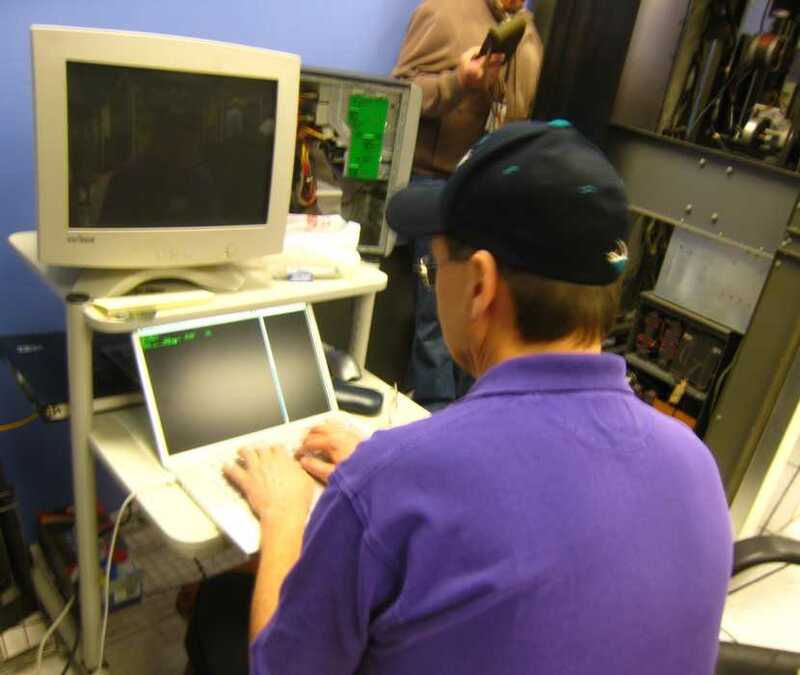 It is surprising how many visitors either worked on 1401s, ran 1401s or programmed 1401s. 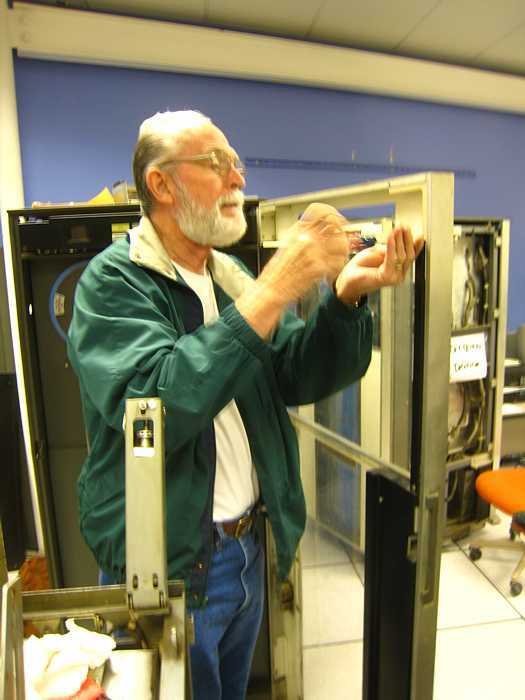 I am canceling this Thursday's 1401 debug session at the CHM. this tape requires a 1407 console, which we don't have. undetermined and Paul hasn't responded to my queries. "I was notified yesterday that we have 100 college students from the Monterey Bay area visiting on Feb 28th from 11 am to 3 pm. Unfortunately the professor did not check with us prior to scheduling the visit. If he had he would have found out that we already have two group tours booked for the day. So I am now trying to figure out what we will do with all of these students. "The reason I am writing you is to figure out if it would be possible to schedule a second data process tour/1401 demo for the 11 am time frame."